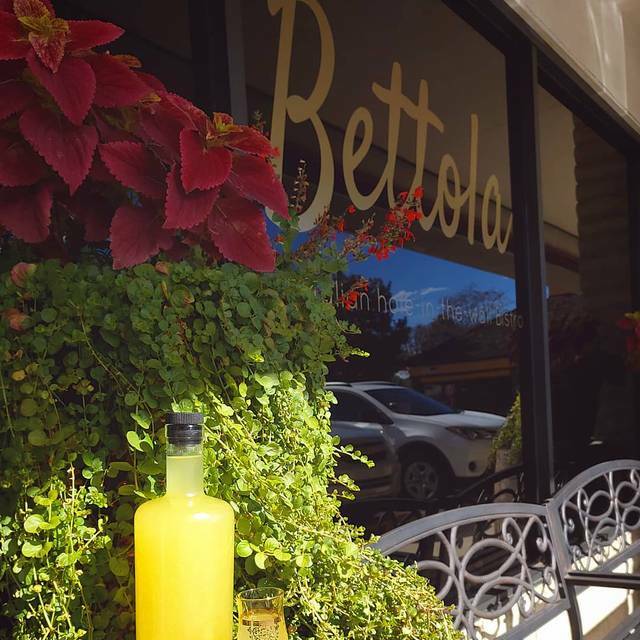 You must make reservations at least 5 minutes in advance of the time at Bettola Bistro. Contact Rachel at info@bettolabistro.com to inquire about private events. Half off bottles of Wine on Wednesdays! The atmosphere, the staff, the service, and the food was outstanding. We will definitely be returning. Honestly, didn't feel welcome there. Everyone around was chatted up by the wait staff and owner, tables around us visited numerous times as we waited to be greeted at our reserved table. We had to ask for service which was comical considering the size of the restaurant. We couldn't figure out why, we were quiet, a couple, had a reservation. My food was delicious, friend's food was overcooked. Oh well. Spot on. Each dish was great. We will be back! Loved the friendliness of the owners. You have a good thing going! Super friendly service, delicious food, and really good happy hour deals. My husband and I got what felt like a splurge dinner (every happy hour snack plus two glasses of wine each) for around $50 in total. Great if you want a special night out but you're on a budget! We didn't explore the main menu much but I'm looking forward to it next time. Bettolas is awesome. Love the pork saltimbocca. Tried he cavil de Pepe...it was also delicious! My wife had ravioli which she will order again! Great service!. The entire evening was delightful. It is a very small but intimate restaurant. We had a reservation, and we were met at the door by Rachel who knew my name and was charming. She said our table wasn't quite ready, but may she serve us a glass of wine at the bar. Our table was ready shortly - a booth just as I had requested. I ordered the pork saltimbucca (sp?) and my wife ordered the shrimp scampi. All the food was delicious, and the service very attentive. The desert was a special blue-berry tart topped with vanilla gelato, and was personally delivered by the chef Samir. Ambiance and service were amazing, but the food was very heavy and had waaaaaay too much cheese on it. I would be interested in trying different menu items, maybe we just ordered the wrong thing. We felt that the quality was not quite worth the price. Fantastic restaurant. A 'don't miss'. Great food and atmosphere. Excellent service!! Rachael has done a great job of putting together a terrific restaurant, great food, fine wine for not a lot of money, service is superb. They take such pride in their food and they should. This was our second time coming. The food was as good as it was the first time. They change their menu often and have different specials. I look forward to their specials. My sister had the Pork Saltimbocca. She raved about it and can't wait to go back. As usual, everything served was superb. Can't keep it a secret any more. 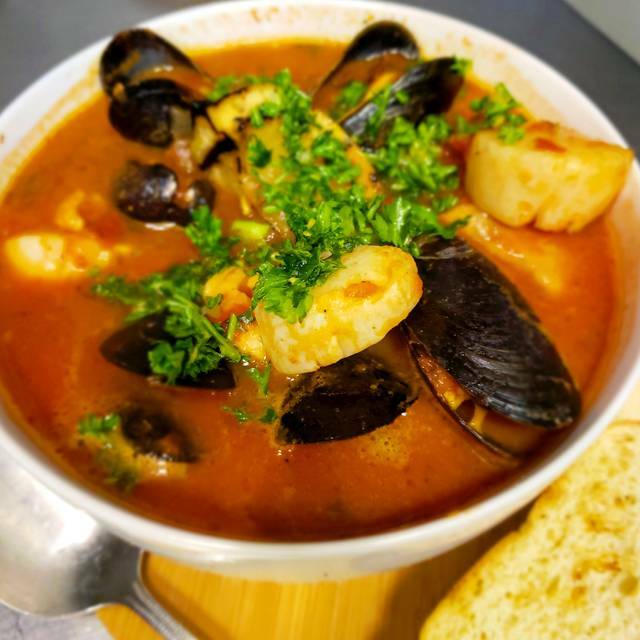 Consistently great food, menu varies frequently, fish and meat are fresh, risottos and potatoes and gnocchi homemade! Make a reservation, this little gem fills up quickly! This was our second visit. We took out of town visitors and all four of us were wowed by the great experience. I was pleased to see that my suggestion to give the crispy pork belly appetizer a permanent home on the menu had worked. It was terrific as was the large meatball appetizer. Entrees were the mussels, baked chicken, risotto, and saltimbaca. All excellent but the mussels drew the most raves. Cannoli for dessert capped a perfect meal. Service was tip top and we never felt rushed even though every seat in the house was filled. The bonus to the evening was the value received. Appetizers, entrees, desserts and drinks (wine and beer) came to about $100 per couple. In our estimation, the evening was worth about double that. 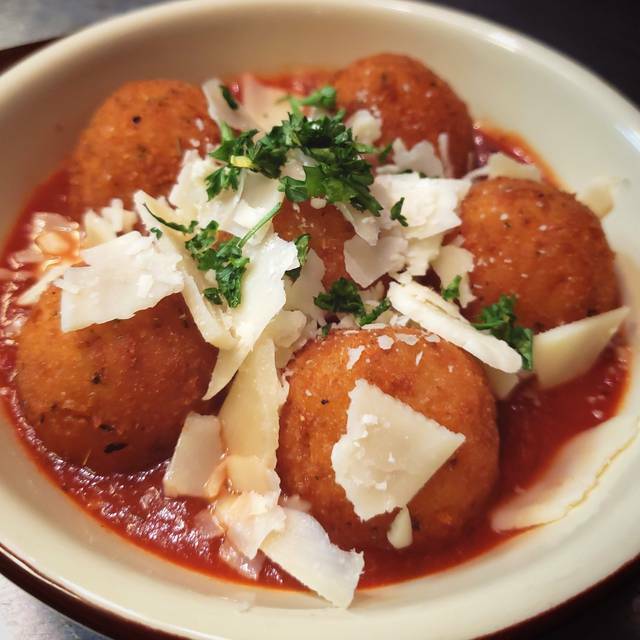 This is our new 'go to' Italian joint. Amazing food, great service and intimate atmosphere! Wonderful people, nice ambiance, and very tasty food. Good house wine too! If they have cannolis, don’t skip them! We found one of our new favorite date-night restaurants. Food was DELICIOUS! Service was awesome and attentive. Love the decoration and cozy ambience of the restaurant. We live in SW Denver and it was worth the trip to get there. We will be back! We had 2 apps, 3 Entrees and dessert. 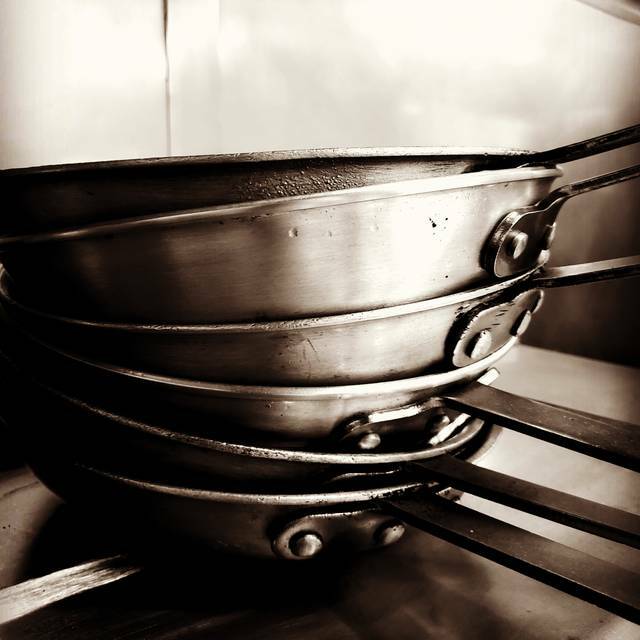 Every dish was cooked to perfection with well balanced flavors. 2nd time there. May make this our regular night out. Small, intimate space. Delicious meal and outstanding service. We were there on a Wednesday night and lucked out with a bottle of wine for half price! The pork belly appetizer special was a knockout and deserves a full time spot on the menu. This was our third visit and just as amazing as the first two times. The menu is thoughtful and updated regularly (perhaps weekly) to reflect fresh and creative items. From the warm greeting upon our arrival, to the wine suggestions based on our preferences, to outstanding entrees, we keep coming back for more. Amir and Rachel and their excellent staff do an amazing job at creating a delicious dining experience. The food is 5 stars and you can be casual and laid back at the same time. In fact, I’m torn to recommend because I love being able to make a same-day reservation, but I also want to support their amazing restaurant. Go and give them a try - I’m sure you’ll find something to love. 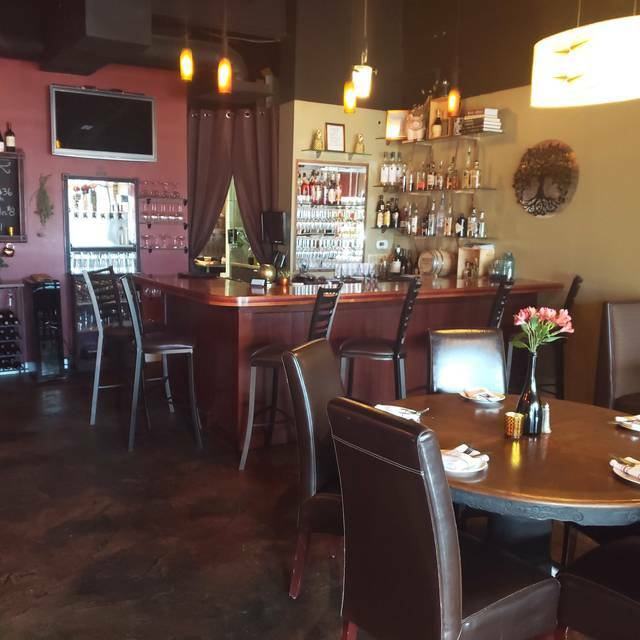 This is a wonderful Italian neighborhood bistro, very friendly and efficient service with very good food. The atmosphere is intimate, and the perfect cost spot for dining on a cold and snowy evening. We’ve enjoyed dining here twice, and tried excellent mussels, unusual appetizers like arancini, and house made cannoli. The prices are reasonable for the quality, and I look forward to a return visit. An amazing experience was when we were leaving, and our waiter followed us out to our car with a broom to clean our windshields. Holy smokes, this place is amazing! Hands down some of the best Italian food I’ve had in this whole city. My boyfriend and I came in for a quite dinner and managed to order every single item off of a specials menu. The restaurant is small (so make your reservations), but the staff makes you feel like family and are super attentive. The food is so affordable for the quality you end up with. We ended up getting another dinner entree to go, because it was THAT good. 12/10 would recommend this place to anyone. Best thing ever. The service matches the food - everything is excellent. If you want to have a great night, this is the spot. Bettola is addictive! We love this place! Second visit. The restaurant is clean and beautiful. You wouldn’t think so from the neighboring businesses, but it is lovely inside. The food is amazing with a great value. Cocktails good... cannoli is amazing!!! Personable staff. Owner run... give this place a chance. You’ll be glad you did! Very good and creative dishes. Had the egg plant with risotto. Excellent and very tasty. Rhonda is co-owner and very accommodating. Should be one of our favorites. This was our first visit. Will become regulars. What a tasty little italian restaurant in an unassuming strip mall. The misto frito was spot on! Cooked perfectly so that it was tender and had just enough of a coating to give it a nice crunch. The tarragon in the aioli was a nice touch. 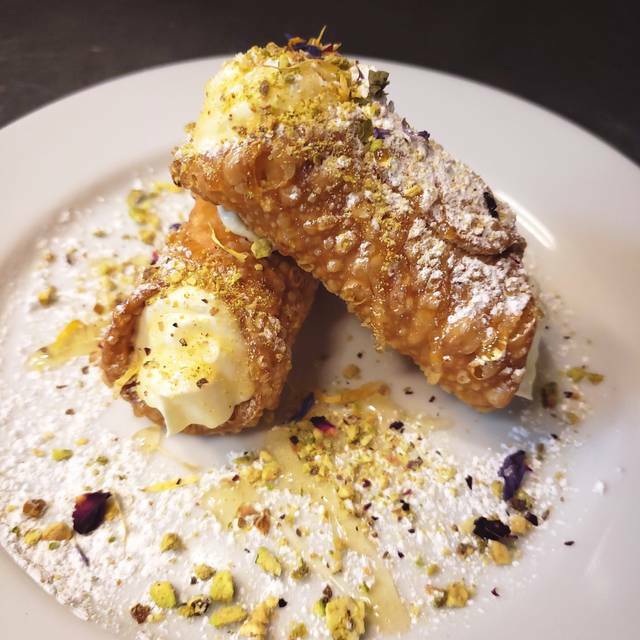 We also adored the luscious cannoli in the housemade shells with a lovely marscapone filling. We will be returning to try more from the menu in the near future. Make a reservation if you plan to go on the weekend since there aren't very many tables. I have eaten Italian in NYC, Chicago and northern Italy. This is as good as any restaurant I have enjoyed. The real test is the mussels, which are superb. Mussels come in two grades: really awful or spectacular. Bettola mussels are simply spectacular. Great lemon drop vodka martini and good wine list. Actually Italian wines too. I confess that I miss grappa at the end of the meal but it is rare to find grappa in a US Italian restaurant in a house wine carafe for that last finishing drop after espresso. I hope this bistro does not expand too much and lose it's neighborhood ambiance. Neighborhood restaurants are true gems and this one is bound to grow - but I hope it keeps it's ambiance. The ambiance is not pretentious - its just plain high-quality neighborhood gem. Ask the chef's name: you will drop out of your seat. Staff is terrific. We had a wonderful time at this quaint neighborhood Bistro. Excellent service with super friendly staff. We will be back! 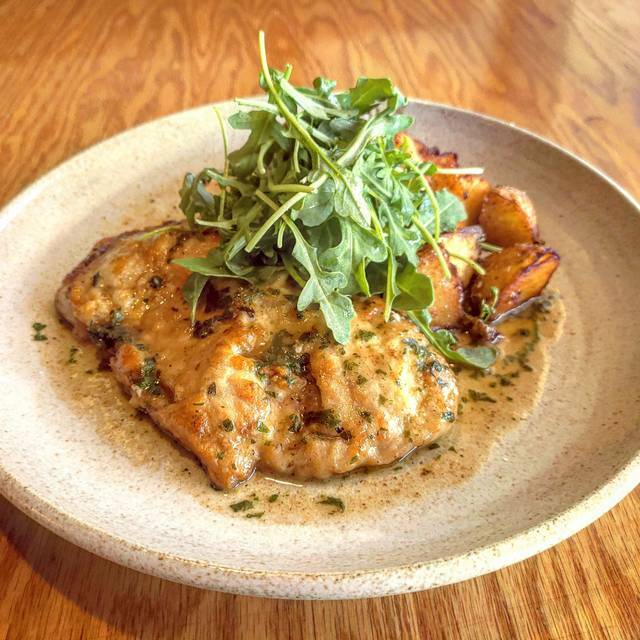 Bettola Bistro opened last summer, and I have worked my way through much of the menu and have yet to be disappointed. The quality, preparation, and presentation of the food is consistent and outstanding! The range of food choices is broad, and their specials are always a treat. Chef Samir, Rachel, and the staff are friendly and welcoming. This is a smaller venue that makes having a conversation across the table very comfortable. 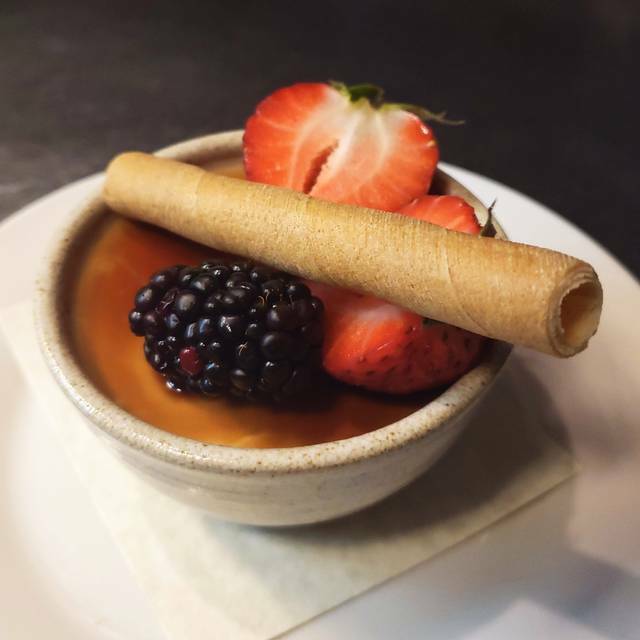 Servings are generous, so make sure you save room for the in house prepared desserts. Reservations are advised! 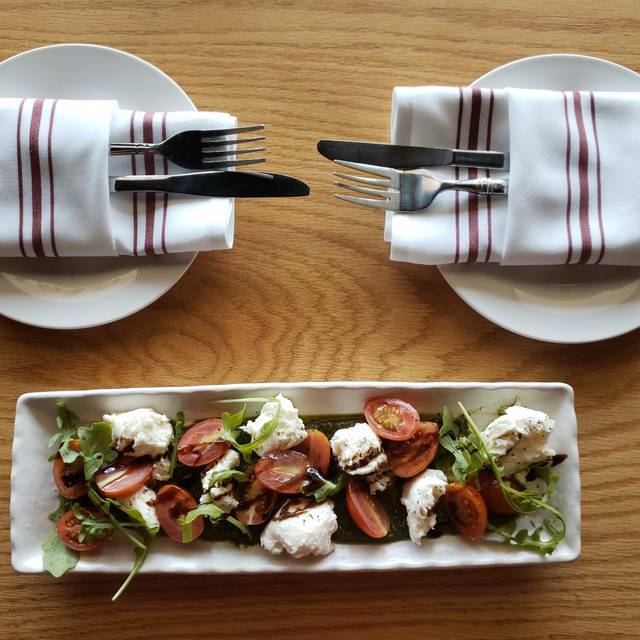 They were recently featured in 5280 Magazine as one of Denver's top 19 Italian restaurants. They absolutely deserve this designation! The staff is so welcoming and personable. Besides the food and wine being delicious, the warm and knowledgeable staff made the evening. Service was wonderful, Rachel is great! The food is to die for, every time i’ve been! will be back for sure !! Really good food - all four of us had something different and all loved our food. Go early - their happy hour is great. Cozy and intimate restaurant with great attention to detail. I look forward to returning. ABSOLUTELY, OUTSTANDING, EVERY TIME! The food is rich, decadent and delicious! The staff is so personable and the head chef has come out to ask how things were, everytime I have been! Their specials are always new, seasonal and different from your average Italian place. Such a creative menu! The atmosphere is quaint and sophisticated. Everything is very clean. The deals on Tuesdays and Wednesday are he best in town! Very delicious wine list. The nutella brownie skillet with salted caramel gelato, all homemade by the way, is one of the best deserts I have ever had! Great for a date, dinner with family or friends! Such a lovely and yummy restaurant! 10 out of 10 will go back... often! Our new go-to place for Italian food. It never disappoints. There are always unique and flavorful daily specials. And the Wednesday half off on bottles of wine is an added bonus.